Diving is a hugely popular sport, with thrill seekers travelling around the world to see unique marine wildlife and beautiful underwater landscapes. However, divers don’t have to travel somewhere tropical to experience incredible diving, there are plenty of places to visit in Europe. Although diving is generally safe, as long as you have been properly trained, it’s always a good idea to make sure your e111 card is up-to-date, just in case you require medical treatment during your trip. Wreck diving is a completely unique type of underwater exploration. There’s nothing quite like exploring past history and seeing how nature has reclaimed what was lost. The Zenobia is a huge ferry wreck in Cyprus, it’s so large that you’d need to take several trips to come close to seeing all of the ship. However, what can be seen in one trip is the ship’s cargo, which mainly consists of lorries, and the cafeteria. You can even swim around the propellers. Divers will see a variety of marine life, including barracuda, jacks and grouper fish. This dive is not for the faint-hearted or inexperienced diver. The trip will take you through a narrow crack in the American and European continental shelves. The water is extremely clear, so divers will have high visibility. The maximum depth which can be reached is 18 meters but, on average, divers only reach between 7 and 12 meters. 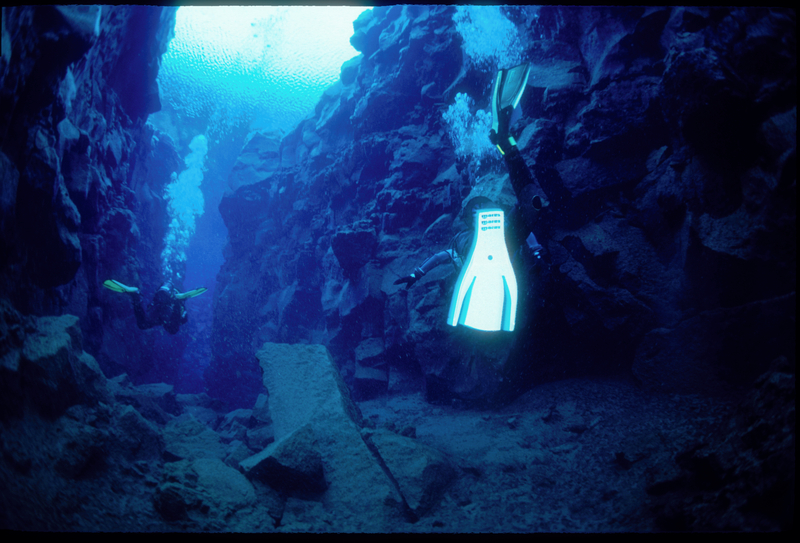 This site is the only place in the world where you can dive in the crack between the continental plates. Diving into the blue hole in Gozo feels like you are falling off the edge of the world. The natural rock formation has been carved out over centuries by the wind and waves. At the bottom of the hole, there is a large cavern, where you may find some unusual marine life, such as parrot fish and octopus. The site also includes a huge rock archway, known as the Azure Window, which is over 8 meters tall and is covered completely by golden cup coral. This is an extremely popular European diving site, so it’s best to arrive early to make the most of it. History meets natural beauty at this dive site. In eastern Slovakia, miles of tunnels were created to mine precious opals. The now-flooded site can be explored by divers, throughout the tunnels opals diffract the light to create colourful patterns on the walls. The experience is truly unique as this is the largest opal mine in the world. Divers will need to navigate the tunnels on foot initially to reach access points. The basaltic rock formation known as La Rapadura- which means ‘brown sugar’ in Portuguese is one of the most impressive underwater landscapes to be explored in the Canary Islands. The towering hexagonal columns rise from the seabed and almost reach the surface, they were formed by volcanic activity in the past. It’s common for green sea turtles to be found in Tenerife, so divers at La Rapadura might be able to spot the rare creatures.